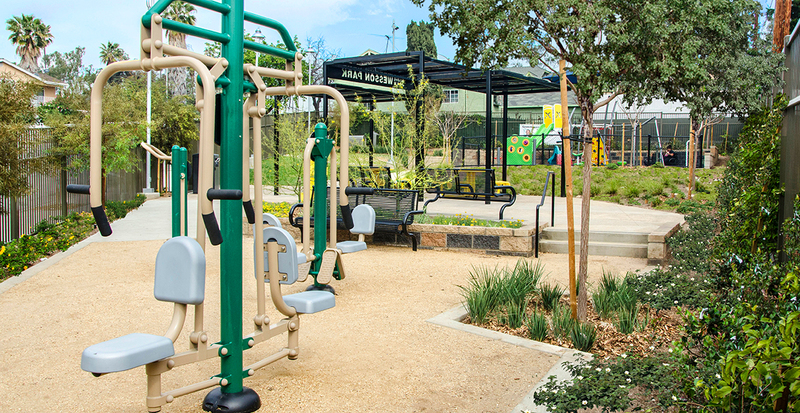 Gruen Associates worked with the Los Angeles Neighborhood Initiative (LANI), the Los Angeles Department of Recreation and Parks, and community groups to rehabilitate an underutilized parcel of land in the West Adams District to create a small quarter-acre pocket park to serve the surrounding neighborhood. Working closely with the Project Steering Committee (PSC) in the design and development process to engender a sense of ownership was a critical strategy for the long-term success of this public space. 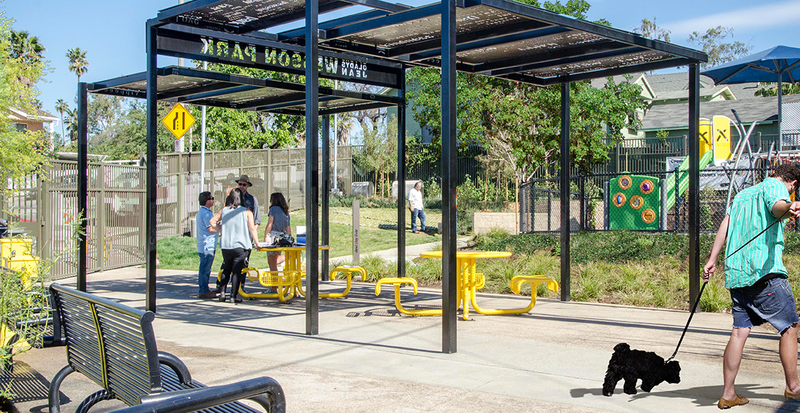 Programming includes a tot-lot for the immediate neighborhood, a small shaded public plaza with seating, and a small fitness zone with outdoor exercise equipment planned with seniors in mind. Part of a public art component was derived from a workshop held at the nearby elementary school and the “collaborative poem” that was created by the students. 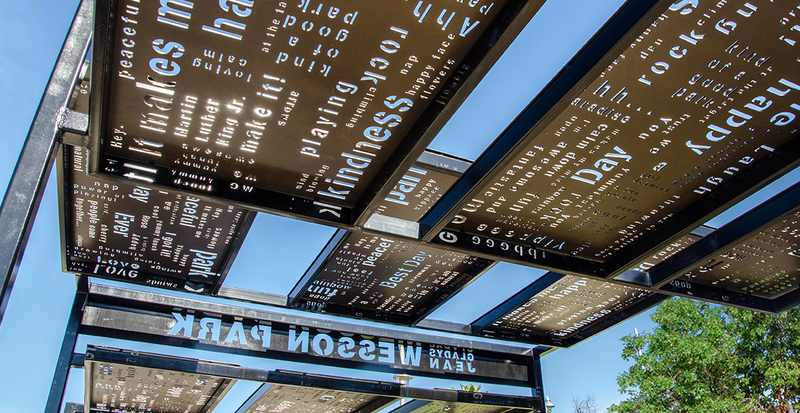 The children’s poem was etched into the shade panels to create a distinct and changing pattern of shadows for the plaza while emphasizing the direct link to the neighborhood. The award-winning new pocket park was a unique opportunity to transform a vacant, weedy lot into a drop of green and much needed open space for the neighborhood.